So despite me attending at least a handful of shows in Calgary so far, I have yet to do reviews on them. It's kind of that debacle between paying attention to the details of the show, or having a couple beers and just enjoying the sights/sounds/people. More often than none my laziness has taken over and I just want to be one of the fans enjoying music. 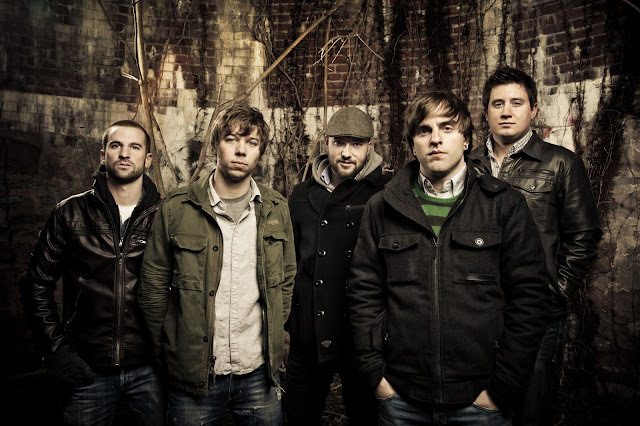 On the other hand, August Burns Red's performance on Tuesday night (March 29th) invoked a response. While touring across Canada/US on a co-headlining tour alongside Between The Buried and Me, August Burns Red hosted many eager fans at the University of Calgary's MacEwan Hall. Me being the party pooper I am, I missed the opening acts of the show due to my day job. However, we (the girlfriend and I) managed to make our way in for the tail end of BTBAM's performance, which ended amazing due to their dueling guitar solo(s). While not being a major fan of BTBAM, this was definitely worth the price of the ticket. Hint hint, they are some major talented artists! From "Martyr" to "White Washed", the five members seemed like they were both enjoying themselves, and giving 110%. All in all, a win in my books, and a reminder of why I pay to see them every time they come through town.